What a great idea to bring a bit of tropical feel into your home by growing some exotic fruit in your garden or on your balcony! What do you know about the Dragon fruit? It is easy to grow but sweet to taste. All you need is just learning a couple of simple advices. So, you should take your chance to enjoy the bright colors and unusual taste of this South American fruit. 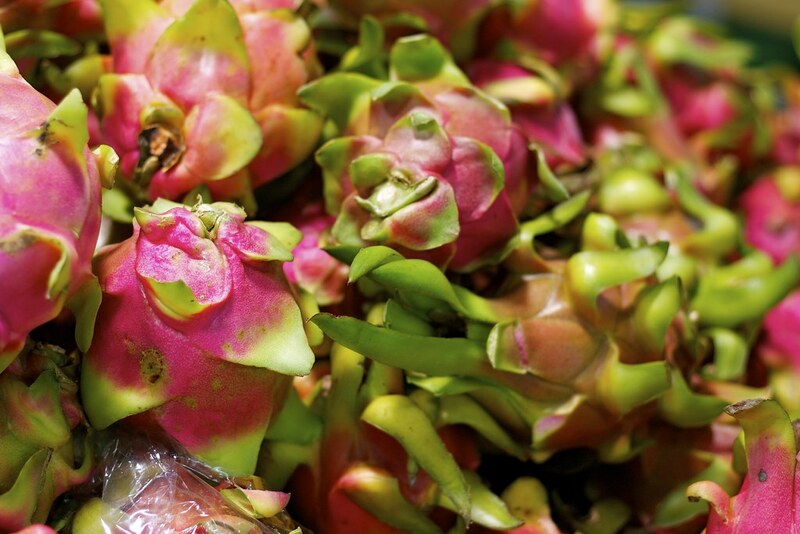 The name dragon fruit came from Asia. It has the chunky scaled skin that looks like the dragon scales. The real origin of dragon fruit is Mexico. What Does the Dragon Fruit Taste Like? This kind of fruit is attractive for your garden because it is bright and interesting. What about the taste of it? You shouldn’t expect the explosion of flavors from the dragon fruit. To be specific, the taste of this fruit resembles the melon, but with quite a different kiwi-like texture. The numerous tiny seeds are really hard to feel, and should not bother anyone, especially if you don’t like to feel seeds in the fruit. When you crunch a few seeds between teeth they taste quite pleasant and refreshing. You can eat it in different ways. The most popular variant is put it in a fridge for a couple of hours before you try as the fruit is recommended to eat chilled. The next step is cutting the fruit in half and scoop out the pulp with a spoon. When eaten this way, the dragon fruit is quite enjoyable. You can also use it for cocktails or fruit salad. There are different types of dragon fruit and they taste somewhat differently. High levels of Vitamin C found in the fruit help boost your immune system. There is also a bounty of other vitamins which will help you stay healthy. Lack of cholesterol makes this fruit suitable even for people with heart problems. Carotene present provides anti-carcinogenic properties. The fibers will improve your digestion and boost your metabolism. Finally the fruit looks wow for all your guests. This fruit has red exterior and white flesh. This type of fruit is red both on the outside and in the flesh. The flesh has bloody dark red color. This type of dragon fruit has a yellow shell and white fruit flesh. Moreover, its shell is thornier. In different parts of the world the dragon fruit is called in different ways – in Indonesia it is called buah naga, but you can hear many other names such as Kaktus madu, Cereus triangularis, Long guo, Strawberry Pear, Thanh long, Cactus fruit, Belle of the Night, Night blooming Cereus. Honestly, this plant belongs to the cactus family. The flowers open for only one night and have a strong fruity fragrance. There is only one place to see all three sorts of fruit – Mercado Veintitres in Cancun. This is a farm market of fresh fruits and vegetables, meat and fish. It doesn’t matter which hotel you stay, you can always catch taxi or use Cancun under 21 car rental location from every point of the city and get to the market. This is central and historical part of the city that every tourist need. The testiest dragon fruits you can try only in Mexico! Dragon fruit is a sort of climbing cactus. So, this plant needs special support to climb on. At the period when the plant forms aerial roots from the branches it needs any support to climb on. Tropical fruits need much sun and heat. However, it is better to find a sunny place in your garden. If you want you can try to plant the dragon fruit in the ground and in a container or pot. If you live in areas with relatively strong winters, you have to take the plant inside during cold nights and days. It is important. 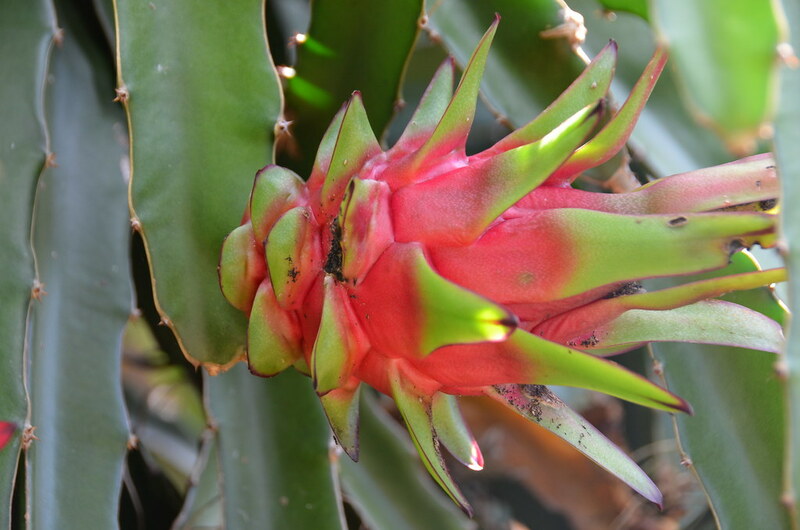 You can take out Dragon fruit seeds by cutting the fruit in half and scooping out them from the pulp. After you take the seeds out, wash them and leave on a moist paper towel for one night. You are now ready to place the seeds in the pot and lightly cover them with a thin layer of growing medium. Next, use a sprayer to moisten the soil and cover the pot with plastic wrap. The soil should be kept moist up to 15-30 days. If you are taking the cuttings from the parent plant on your own, do not take too much or you can stunt its growth and put it in danger. The ideal time to start growing the cuttings is in the summer. Remember, the fruit is tropical! You cut this cutting in three to six inches cuttings. Then you should apply fungicide to each end and let them dry for two to five days or until the tips turn white. When you prepared the cuttings in this way, all you need is to place them in the soil. Make sure that you position them correctly: much sun, moisture. Water them immediately! The soil must always be moist, so check it daily and water when needed. After about three to four weeks the roots should appear. However, it grows slowly so it will take a few years before the plant can produce fruit.